A Texas businessman is said to have paid more than $100,000 to shoot and kill a rare mountain goat in Pakistan. Bryan Kinsel Harlan posed with the markhor, which is considered the national animal, that he killed earlier this month in a photo that has since been widely circulated online. "I have hunted almost all animals here," Harlan told a Pakistani TV station, noting that his recent visit was his third trip to Pakistan. "And I've saved the markhors for last." In a video posted on YouTube on Feb. 7, the Texas man is seen hunting with a guide across the mountainous Himalayan region of Gilgit-Baltistan, in search of the wild Astore markhor. 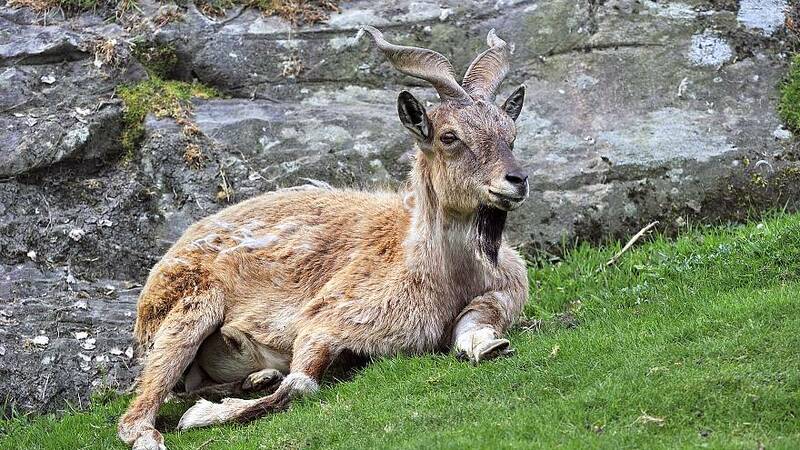 The markhor, which is Farsi for "snake eater," was considered endangeredacross the region until four years ago, according to the International Union for Conservation of Nature. It is illegal to kill the species without a permit. Each year, 12 permits are available to purchase to hunt a male. Harlan is said to have paid $110,000 for one. He is one of three Americans who have purchased the permits in recent weeks, the Pakistani newspaper Dawn reported. The video and images of Harlan next to the dead animal caught the attention of conservationists and animal rights group. "Goats are gentle individuals, not trophies," animals rights group PETA wrote on Twitter. Meredith Ayan, the executive director of Society for the Prevention of Cruelty to Animals International, was shocked by the news, saying that paying that amount to shoot a rare animal is "beyond comprehension." She added, "Why you would want to reduce a population of an already rare animal is beyond us." The money from the hunting permit will be used to help fund development in the area and aid the people who live there, local government official Hamid Hussain told a Pakistani news station. But animal activists including Ayan say helping local communities shouldn't come at the expense of rare animals. "Our suggestion is to make a donation for that amount of money to an organization working in the community," Ayan said. Will Travers, a longtime advocate of animal welfare and conservationist agreed. He noted on Twitter that the region has only 2,500 markhors. "It may put money into local communities, but I believe it is a moral issue," he said. "We should not be killing animals for 'fun.'"